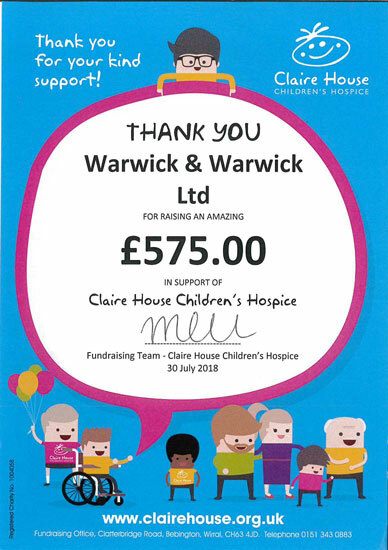 We are excited to announce that the customers and vendors of Warwick & Warwick have raised £575 for Claire House Children’s Hospice, £200 For Children Today and £200 for Alzheimer’s Research UK, in our recent sales. The lots included collections of modest value properties, combined together, to form a saleable lot for charity. We would like to extend a warm thank you to all whom have made this possible and hope to see great benefit in the future. Claire’s House Children’s Hospice provides care and support to families with children that have life threatening or life limiting conditions. 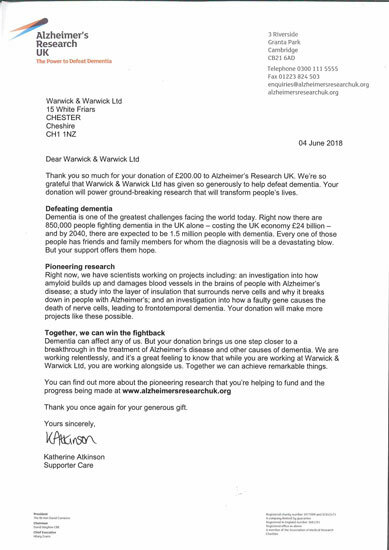 The charity depends on the support of donations and Warwick & Warwick are proud to help. Claire’s House can be found here. Alzheimer’s Research UK work to combat one of the greatest challenges facing the modern world. Dementia is a devastating blow, and effects families and friends in the UK and around the world. Alzheimer’s research UK steps closer to a breakthrough in the treatment of Alzheimer’s disease and other causes of dementia. A link to their website can be found here. 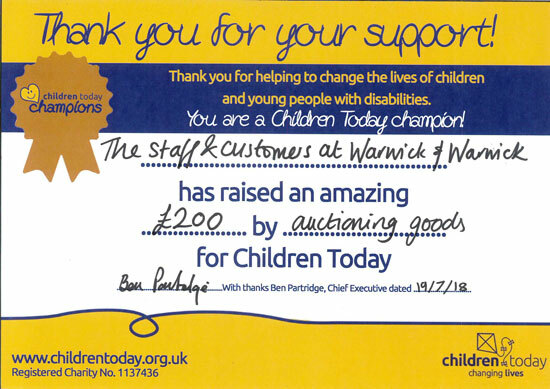 Children Today help change the lives of children with disabilities across the UK each day, providing specialised equipment to families with the aim to give children independence and the best quality of life. I link to children today can be found here.